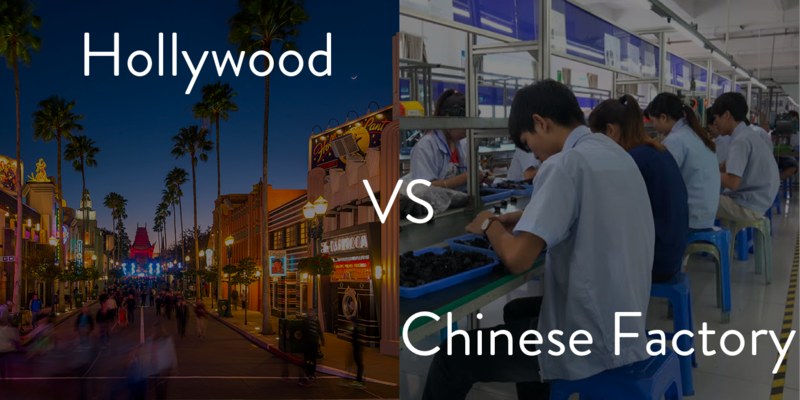 At first glance the “glamorous” Hollywood film business can’t be further apart from the seemingly sweatshop dominated world of product manufacturing. However with a closer look many resemblances start to surface. After all both are fairly traditional industries with very conservative mindsets dominating the top of the food-chain. When LumiereVR started in the bay area 3 years ago, we were just in-experienced founders trying to explore our passion of art and technology. At the time we had simply thought to revolutionize the film industry by adapting Virtual Reality to it. In hindsight its funny to think we’d be anything other than ordinary given the amount of 360 studios popping up literally everywhere in the world. 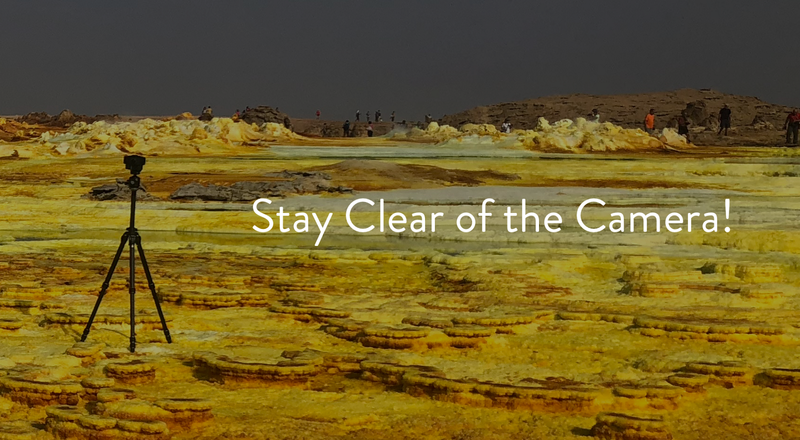 However during our journey transitioning from just a production house to a more or less scalable startup, we did pick up a couple interesting points about old fashioned industries and how to plough through them. I hope my rambling here might at least help demystify a few things for some people. So to start things off, how does one create a film from scratch anyway? Like most people outside the industry, we use to think all you need is to write a story, pick up a camera, find some pretty places and shoot away to your hearts content. However the real process is much more convoluted. First, there are producers, one of the most confusing roles out there. Most of the time there are many many many of them from Executive Producers to Assistant Producers, and their job range from shaping the story, scouting talent, hiring directors, all the way to overseeing post-production and building financial models. All of them will tell you how busy they are working everyday, although I often find a lot of them quite questionable. This being said, producers in charge of Funding or Securing a particular IP (like Star Wars or Game of Thrones) are probably one of the most important roles in a production. Then there is the creative and art team, the writers, directors, and director of photographies. Outside of all that there’s the lighting crew, technicians, a whole bunch of supervisors, then VFX, SFX, CGI, the list goes on indefinitely. So on just a set you can sometimes have 50–70 people running around like headless chickens, thus having a strong workflow that everyone is clear on is crucial if the production is to stay on schedule. Oh yea, did I mention, since we’re doing VR and the camera captures every angle with no blindspot, the whole crew need to somehow disappear into thin air during the actual shoot. At this point you can probably start to empathize with small studios, how are they suppose to produce anything at all ? On the other hand if you were to mass produce a product like a toaster or a even a fidget spinner how would you start? You might create a make-shift prototype with off the shelf parts, or if you’re more tech savvy, 3D print different components and assemble them by hand. Then maybe you’ll approach a design firm to create concept arts and even CAD files before finally approaching an eager factory in China who will of course happily manufacture your product for next to no cost at all! … Now we all have dreams, but reality is much more nightmare on elm street. It’s almost a given that everyone is going to try and rip you off in China. A quick shop around and you’ll find that the quotes from each factory can differ by magnitudes of 10x even 20x sometimes for the exact same thing. Then when you finally find someone reliable enough to do it for cheap, you’ll have to worry about them re-selling your product under a different guise to a Chinese competitor. Recalling vividly the time HTC first brought us to Shenzhen, China as part of their investment agreements with us, we were trying to build a zoom-like microphone into our filmmaking robot. Initially we shopped around trying to find a factory capable of producing such, surprisingly it wasn’t long until we found the exact factory that was responsible for the exact product. They proceeded to offer us the same product with our logo on it at a discounted price. It takes a very different mindset to operate in that landscape. Just like filmmaking, makes you wonder how anyone gets anything done. So back to the original point, how does the process of filmmaking overlap with the process of manufacturing? The answer starts in the similarity between producers in filmmaking and the consultants in manufacturing. When a studio executes a production, many producers are hired to find talent, these could be from casting all the way to post-production. Bigger studios will find smaller studios, who’ll find even smaller studios, and at the end most of the work is outsourced cheaply to an offshore company probably based in India who actually do the heavy lifting. Likewise when a toaster oven company is looking to start their production line in China, they will find consultants to connect them with manufacturing companies with experience dealing with the product and quantity they are looking for. Little do they know these manufacturing company simply will outsource the job to smaller factories, who will also in turn do the same until they reach the bottom of the chain, the poor workers who barely see a dime an hour assembling parts by hand. So by now you can probably identify the exact problem with this model. Morally speaking of course having a sweat shop do most of the work while getting paid a fraction of a fraction is terrible, but from a business perspective its also completely insane. Having a few middle-man can help streamline processes and make productions more efficient, but when you have too many and the industry becomes dependent on an established chain, innovation can halt altogether. During our time in Shenzhen we met up with old friends, Alex and Harrison Chen. 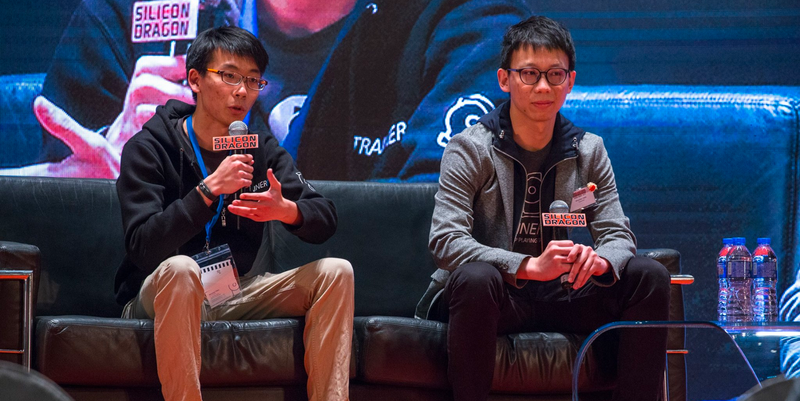 The two brothers started Trainerbot a few years ago and moved to Shenzhen to join Hax Accelerator. Now both of them were named Forbes 30 under 30 in the manufacturing discipline as they vow to revolutionize the industry by knocking out all the consultants and middle-factories in the space. Not only did they educate us on the process of manufacturing from price negotiation to building an assembly line, the two brothers who built their entire product free of any middle-men taught us how to efficiently and effectively communicate with the lowest level of the chain, prompting us to do the same with our own convoluted industry of film production. Today, we’ve followed the production chain to Chennai and Mumbai in India. Where we found the numerous talented VFX and SFX artists slaving away for big production studios in the US. Of course mastering communication and establishing an efficient workflow will be very challenging, but this could be a solution for smaller companies to even the odds with Hollywood, cutting the bulk of the costs by eliminating unnecessary producers in the middle of the chain. Anyway rants over! Might have been a longer post than I originally planned for, but hopefully someone might find it at least amusing!